*7.3 POWER STROKE, *MANUAL TRANSMISSION,*4WD, *XL, *TRADE IN, *5000 POUND SUSPENSION,*RANCHO 9000 XL NEW SHOCKS ALL AROUND,*H-RATED 4 BRAND NEW TIRES& RIMS, *WARRANTY INCLUDED,*NEW X-CODE LEAF SPRINGS and MORE. 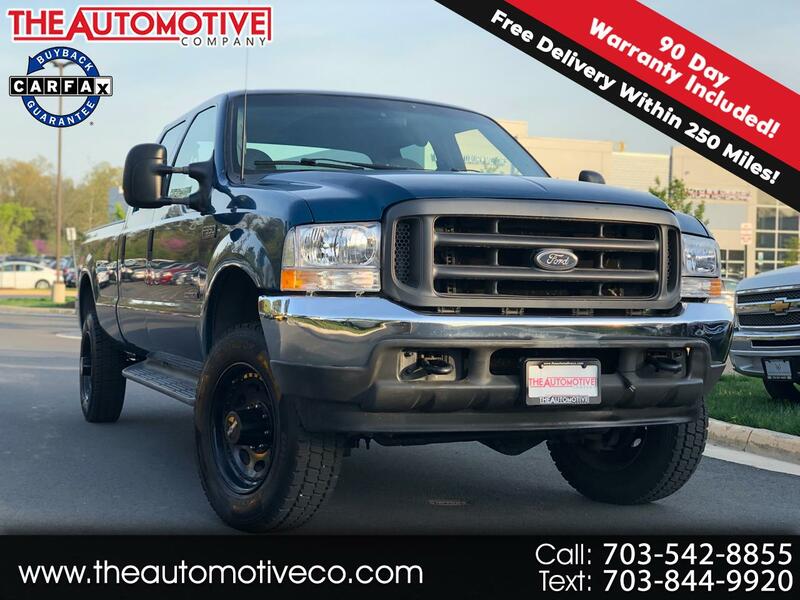 Up for sale is an excellent condition 2001 Ford F350 XL with the 7.3 Power stroke engine, 176k miles , manual transmission that is sold with 3 month/3000 mile limited bumper-to-bumper warranty. This Ford has only two previous owners and has been well maintained all its life. Looks and drives great, please look at all the posted pictures on our website and you be the judge. Additional 3 month warranty can be purchased for an additional $284. ( 6 month total).We now offer FREE HOME DELIVERY within 250 miles from our location. We will deliver the car/truck to your door after the purchase has been completed at no extra cost. WARRANTY AND SHIPPING OFFER ONLY VALID WHEN PURCHASED FOR ASKING PRICE. We have the utmost dedication to quality in the cars we sell. The Automotive Company is owned and operated by two brothers. Our father and grandfather both worked in the automotive industry their whole lives, and the knowledge they passed along to us provided the foundation for the business we run today. We are meticulous in buying only the top quality used cars. We grew up in a working class family and appreciate that the money our customers use to buy our cars is hard-earned. We strive to provide the highest quality vehicles at competitive prices. We put the customer first in every deal we do, and our reviews reflect that. Message: Thought you might be interested in this 2001 Ford Super Duty F-350 SRW.